Great cities have great downtowns. Kelowna's city center is continuing to experience significant investment adding to the economy and building on the vibrancy of our city as identified in the Downtown Plan. Check out the first completed project from the plan, Bernard Avenue Revitalization. Waterfront amenities combine with historic charm to attract people to dine out, attend cultural events, shop or work in the heart of Kelowna -- the largest centre in the B.C. Interior. Following on the heels of the Downtown Plan is the Civic Block Plan, the boundary encompasses the blocks of Clement to Queensway avenues and Water to Ellis streets. From encouraging public art to preserving views, development policies are in place to give Downtown Kelowna a unique sense of place. 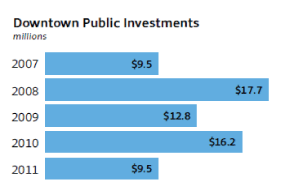 Downtown projects benefit from 29 per cent lower development cost charges and priority processing of rezoning applications that are consistent with adopted plans. Properties may qualify for exemptions of up to 100 per cent of incremental property taxes and the City offers $200,000 in annual grants to encourage construction of affordable rental housing. Regardless of size, only one parking stall is required per dwelling unit. Buildings step back from the lake, rising from six storeys up to 26 storeys. See Property Development - Getting Started for more information. Bordering the shores of Okanagan Lake, Downtown Kelowna is the primary destination for two million tourists each year. A favourite spot for a lunch-time or evening stroll, a ring of waterfront parks and promenades captures the Okanagan allure. Swimming beaches, courts, sport fields and an outdoor ice rink host local, national and international festivals and competitions. Unable to resist the temptation, many take to the water. A commercial pier hosts touring boats while the downtown public marina offers boat rentals, public moorage and refueling (and a view you can't resist). A fixture on the Kelowna waterfront since 1945, the Kelowna Yacht Club constructed a new 2,200-sq-metre clubhouse in 2014, with rentable multi-purpose and banquet rooms as well as expansive decks and patios to take advantage of the views of the lake and Stuart Park. The first floor also includes a public restaurant and patio space. In 2011, the Club expanded its downtown marina, adding 300 slips to bring its moorage to 1,000. 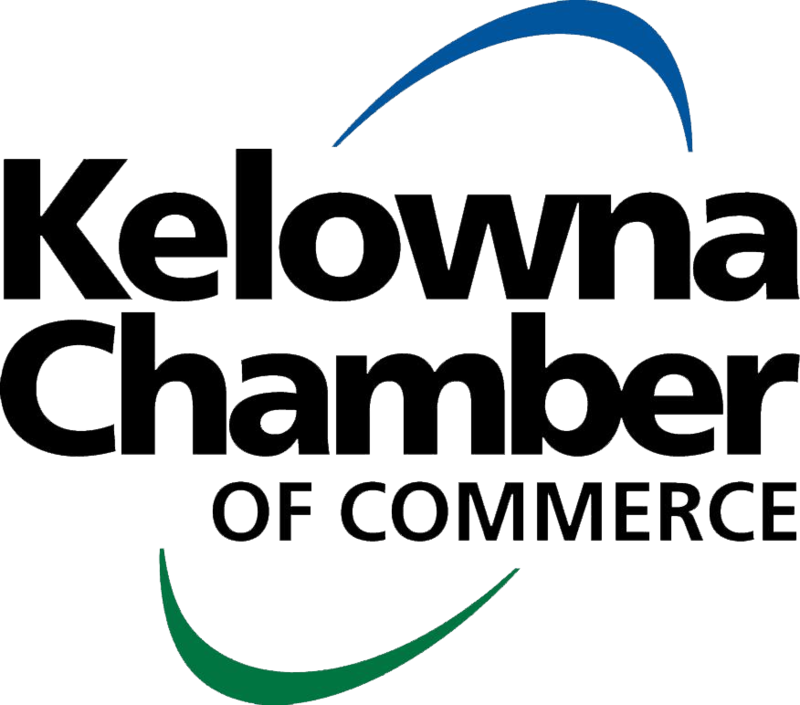 Both private and public investment are making a mark on Downtown Kelowna. From the marquee Prospera Place built in 1999 to the brand new public pier and marina, the City of Kelowna supports economic partnerships. Beginning in 2007, Skye Tower, The Madison, Martin Lofts and Waterscapes residential developments were added to the downtown skyline. Many parks have seen recent updates including the addition of an outdoor skating rink and extensive pedestrian and cycling connections. Queensway transit exchange remains the hub of public transit. An extensive bike network extends from the downtown, making the area a quick 15-minute trip for the neighbouring 50,000 residents. With arenas, galleries and venues for performing arts and festivals, the area is seeing the results of $100 million of public investments since 1995.